Crime statistics were released today. North Yorkshire Police has said that new national crime figures reveal the area to be the "safest place in England". Stats for offences in England and Wales for the year ending December 2016 were published by the Office of National Statistics today. There were a total of 36,680 crimes in North Yorkshire during this period, giving a crime rate of 45.3 per 1,000 of the population. 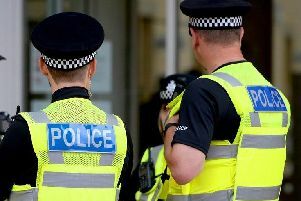 The force said that while this reflects a one per cent rise in offences in comparison to the same period the previous year, it is below the 10 per cent increase in England and Wales and takes into account improved crime recording standards nationally. Deputy Chief Constable Lisa Winward said: “The fact that North Yorkshire has again been rated as the safest and lowest-crime area in England is something that everyone connected to North Yorkshire Police can take great pride in. “It also reflects the outstanding partnership working that exists throughout the county and in the City of York, as well as the vital support provided by our local communities who rightly demand a very high level of service in return. Robbery reduced by 18 per cent (137 crimes in total, 31 fewer crimes). Burglary reduced by 12 per cent (3,642 crimes in total, 488 fewer crimes, of which 1,392 are recorded as domestic burglaries (a five per cent decrease, 74 fewer crimes) and 2,250 non-domestic burglaries (a 16 per cent decrease, 414 fewer crimes). Drug offences decreased by 17 per cent (1,563 crimes in total, 318 fewer crimes). Violence against the person went up by 10 per cent (9,468 crimes in total, 896 more crimes). This is broken down into Violence with Injury (4,635 crimes in total, five per cent increase, 225 more crimes) and Violence without Injury category (4,827 crimes in total, 16 per cent increase, 671 more crimes). The force said that this is largely attributable to the Violence without Injury category. This includes Common Assault and Harassment offences. Recent analysis confirmed this rise is linked to improved recording following a recent HMIC inspection, an increase in historical reports, increased proactivity around enforcement of orders and improved victim confidence, the force said. Possession of weapons offences up by 16 per cent (206 crimes in total, 28 more crimes). Theft offences down by 4 per cent (16,211 crimes in total, 723 fewer crimes). Theft from person up by 2 per cent (491 crimes in total, 9 more crimes). Bicycle theft increased by 8 per cent (1,409 crimes in total, 101 more crimes). Shoplifting increased by one per cent (4,065 crimes in total, 25 more crimes). Other theft offences down by eight per cent (4,354 crimes in total, 354 fewer crimes). Criminal damage and arson up by two per cent (5,762 crimes in total, 121 more crimes). Vehicle Offences reduced by one per cent (2,250 crimes in total, 16 fewer crimes). Sexual offences increased by 17 per cent (1,340 crimes in total, 190 more crimes). The force again said that this rise is regarded as a positive reflection of the confidence victims have in North Yorkshire Police, particularly those making historical complaints in the wake of high profile historical sexual abuse cases, plus support from dedicated facilities for victims of sexual assault. Public order offences up by seven per cent (4,065 crimes in total, 91 more crimes). Miscellaneous crimes against society, which includes the possession and publication of extreme sexual images, increased by 17 per cent with 635 crimes in total, 91 more crimes.